Our mission is to positively impact the lives of all children and families. 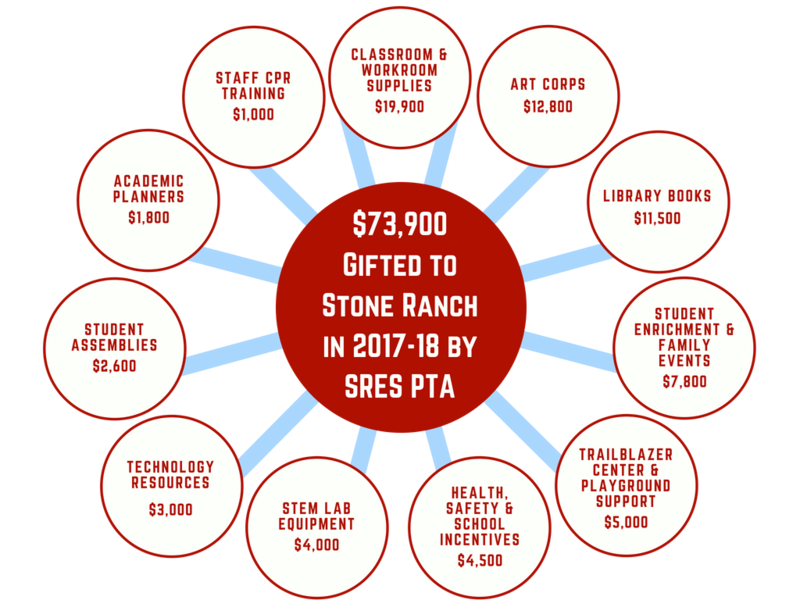 How does Stone Ranch PTA help our school? Since its inception, the Stone Ranch PTA has organized to bring parents, teachers, students and the school community together by planning and providing various free community events such as the Trailblazer Roundup fall event, and the spring Family Dance. The Stone Ranch PTA funds core programs like Art Corps and provides essential classroom, STEM, and operational supplies. Additionally, the PTA is the sole source of funding for our school library. ​​Stone Ranch Elementary PTA has been designated a National PTA School of Excellence. National PTA School of Excellence is a recognition program that supports and celebrates partnerships between PTAs and schools to enrich the educational experience and overall well-being for all students.